Blogging is increasingly becoming a great way to digest information, learn new skills, or share information. And now that we're living in an era where the "old 12 point New Times Roman Resume" won't suffice anymore in securing a job, blogging is also proving to be a great way to market yourself for greater career prospects. In fact, knowing how to be a blogger is a great way to create new opportunities and climb that elusive career ladder! Plus... it's an amazingly brilliant platform to not only showcase your skills and capabilities, but also a fantastic medium to building your contacts, your portfolio, your network, as well as being an awesome platform to improve your skillet. Being a blogger is not all about being having an ability to write great articles, it also involves being a thorough researcher, savvy with social media, knowing a bit about html and css, being a super content strategist, and so on and so forth! But if you want to know the basics to blogging, here are the 5 tips on how you can begin the process of becoming a blogger. Embrace your unique perspective on things and know that it's okay not to hold the same opinion as the masses. Bloggers are synonymous with leading the conversation. So lead the conversation as opposed to simply regurgitating what everyone else is saying. Don't be afraid to be the only one doing something completely different from anyone else, because that, my friend, is what will give you an edge above your counterparts. It's important to have a distinguishable Personal Brand. That way, everything you do will simply be guided by your unique brand and what it is you stand for. Because without a brand, it's easy to just do whatever tickles your fancy as opposed to being governed by a personal purpose. Given that the primary purpose of blogging is to inform others, why not take what you know and share it with sole purpose of teaching others?! You'd be surprised how many people want to know the very think you take for granted! So there you have it! 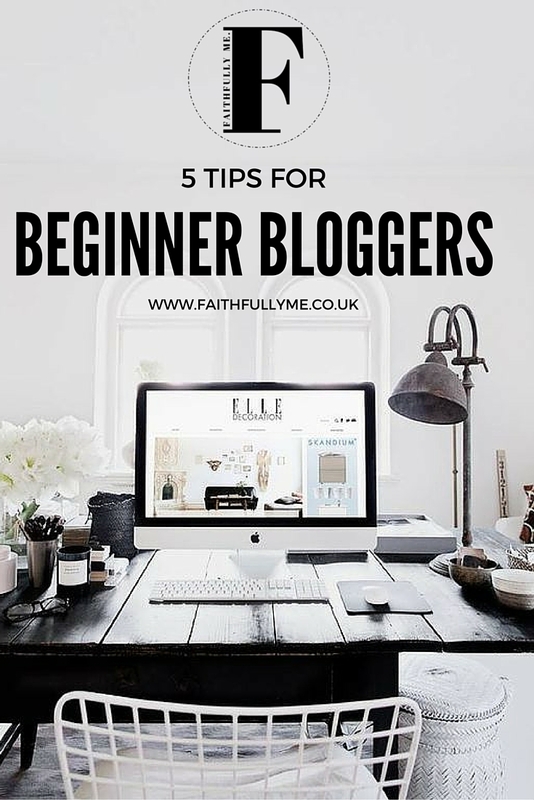 The 5 Basic Tips To Becoming a Blogger. What else would you like to know about becoming a blogger? Let us know in the comment section below. For more tips on blogging, head over HERE!